This performance can be heard on Spotify. In my country (and probably many others) Spotify is unavailable. Premont, are you really sure? I registered at Spotify some months ago and got the message, that Spotify was not available in my country, but Spotify would notify me when (or maybe if) it became available. This is what I know. I attempted to listen to or purchase a recording and got the same result. I have listened to a few volumes of Llyr Williams' new cycle while my ISP refuses to let me see GMG. Honestly, despite high expectations - producer Judith Sherman is a reliable marker of high quality - I am not sure I will be continuing. 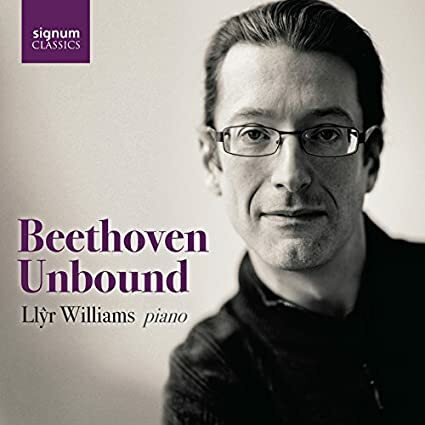 Williams is certainly a fine pianist, but his main interpretive trait is to play slowly, as if exercising caution. 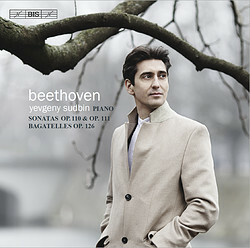 Probably most of his tempos are similar to Gilels, but without the romantic warmth. I am awfully fond of the Eroica Variations, for example, and wish more pianists would include it in their sonata cycles, but at about 11:45 in this performance I thought, "Wow, this piece is super long, huh?" It's interesting to hear even very classical works like Op. 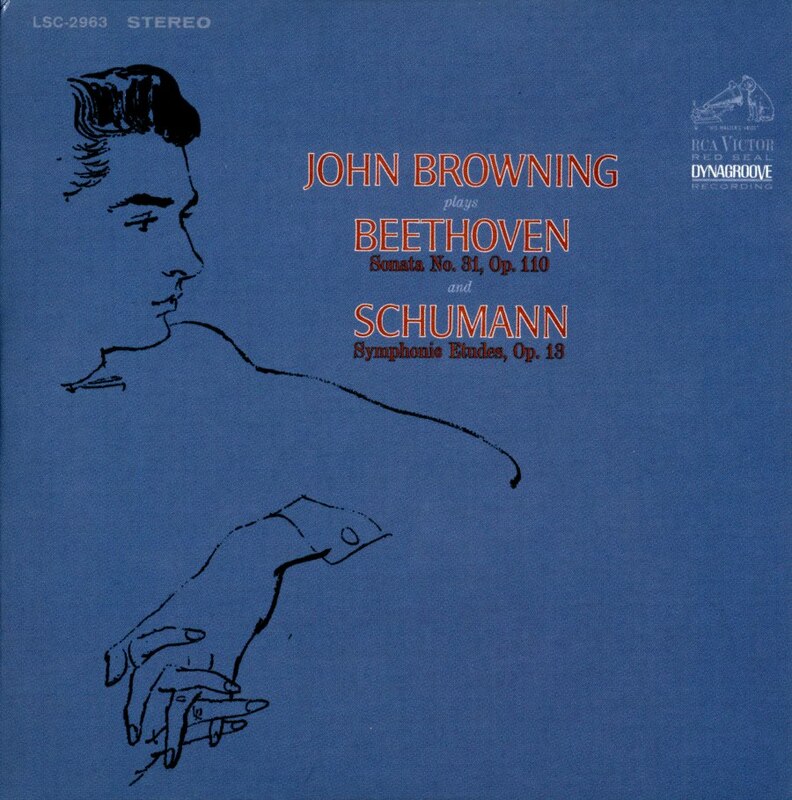 79 getting the same treatment (slow movement there is quite distinctive) but then the pieces which sit right on the stylistic fault line that runs through Beethoven from roughly Op. 22-31 are a problem, because you can't hear that duality. They're a wee bit tame. Thanks. You make me feel better about not ordering it. Arkivmusic is highlighting it for their sale this week. 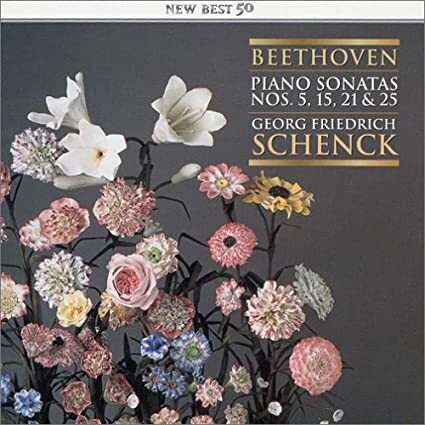 While listening to Georg Friedrich Schenck's speedy and energetic 2/3 & 106 disc from 2000 on Piano Classics, I read in the liner notes that the pianist recorded the complete cycle in 1987/88. I've not found the complete set, but I did find this disc. There could be another OOP set out there just begging to be hunted down. Woha! Todd is like a truffle pig of Beethoven sonata cycles. Krystian Zimerman OP 110 USA 2003. A really tender interpretation. Jingge Yan appears to be in the midst of recording a cycle. He may even have finished one. The three disc third volume of his cycle is slated for release next month. The only problem for me is that I've never seen volumes one or two before. Volumes 4 & 5 to appear next spring. Don't know about v.1 & 2, either... perhaps recorded for a different, defunct label and to be added at the end (or re-recorded)? I'll find out and have an answer soon. Hungaraton have put Annie Fischer's complete cycle back in print. Just noticed it when I was going through ImportCDs. Volume II, containing CDs 4 & 5, will be released this Fall and Vol. I, containing CDs 1-3, in Spring of 2019. It may not be released in the US yet, but presumably will be, before long. Ah, thanks. I only saw it when I was recently browsing ImportCDs. Finished a first go-round of Llŷr Williams' cycle. Two words best sum it up: too polite. I may scribble more detail after a second listen, but it took me an uncommonly long time to work my way through the set, so I have my doubts. Williams is at his relative best in the sets of variations and Op 77, with the Diabelli's on the lyrical side, though nowhere near the best. In the sonatas, 31/1 and 53 are quite good, and some of the early sonatas are nice. Overall, fourth tier for me after first listen. It's hard to imagnine it faring better over time, but maybe. Has anyone heard it? Someone in another forum's classical thread had the disc in December (available from Sudbin's website), still not on BIS' website. John Browning's recording of Op. 110 is one of the truly great performances I've heard, it will be making my personal top 5. This was reissued as part of a box by Sony, it should be on Spotify.